Architecture's Historical Turn is the first critical intellectual account of architectural phenomenology, a movement that reflected a key turning point in the early phases of postmodernism and a legitimating source for those architects who first dared to confront history as an intellectual problem and not merely as a stylistic question. Otero-Pailos discusses the contributions of leading members, including Jean Labatut, Charles Moore, Christian Norberg-Schulz, and Kenneth Frampton. Their collective search for an experiential constant that might underpin all architectural expression, radically transformed how architects engaged, theorized, and produced history. They drew from philosophy, exploring the work of Bachelard, Merleau-Ponty, Heidegger, and Ricoeur, which they translated for architectural audiences, as well as from camouflage, photography, and graphic design. 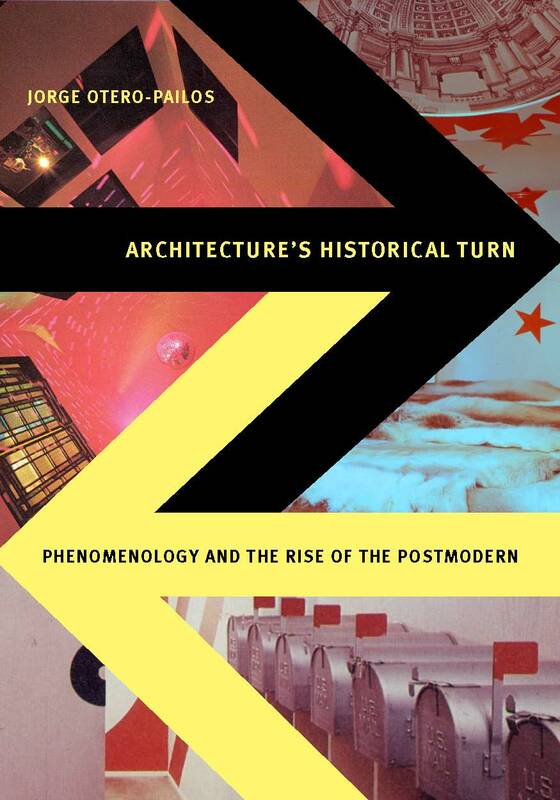 Ultimately, architectural phenomenology played a crucial double role in postmodernism’s rise, creating the antimodern specter of a historical consciousness and offering the modern notion of essential experience as the means to defeat it. Jorge Otero-Pailos is an architect, artist, and theorist specializing in experimental forms of preservation. He is assistant professor of historic preservation in Columbia University's Graduate School of Architecture, Planning, and Preservation. His research and work rethinks preservation as a powerful countercultural practice that creates alternative futures for our world heritage. His installations have been exhibited at the Venice Art Biennial (2009), and the Manifesta European Contemporary Art Biennial (2008). He is the founder and editor of the journal Future Anterior, and the author of Architecture's Historical Turn: Phenomenology and the Rise of the Postmodern (University of Minnesota Press, 2010), which traces the intellectual origins of postmodern architectural theory. His current research project probes the manner in which the advent of large-scale environmental pollution changed how architects understood the nature of architecture and its history. His works and writings have been featured in international publications such as Art in America, Artforum, Modern Painters, Architectural Record, AA Files, Volume, Log, the Journal of the Society of Architectural Historians, the Journal of Architectural Education, Postmodern Culture, Byggekunst, Il Progetto, Il Giornale Dell'Architettura, BAU, Archivos de Arquitectura Antillana, City, Faces, and others.